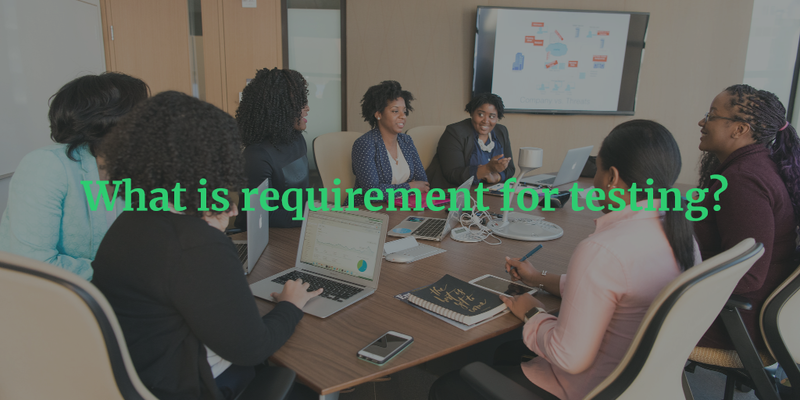 Fundamental Testing: What is requirement for testing? We have already understood what is ‘software testing’ in software development life cycle. Here we will learn how it is required and important. 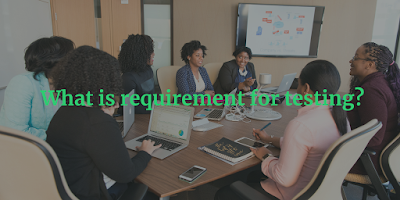 In normal language, we can say that software testing means find the bugs from application but ideally testers are finding human error which have been made by developers by mistake. Some mistakes can be ignored and some of them can be very critical. If this kind of mistakes have been done in software then it may be a big concern for the client. Thus, before delivering the final build, testing phase came in software development life cycle. In general, we all assume that our work is perfect but what if that assumption is bad, what is some loop holes we have put indirectly in application. In testing phase, this all matter will be solved and sometimes we will not realize our own mistake because according to us developed application is perfect. This scenario is for Developer team but when Testing team verify same as end user than issues will be came to the picture. Thus, we can say that software testing is as much as important as development phase of application. Some of other reasons we can list out as follow for importance of software testing. First and obvious reason is, we can find defects from soft wares with help of software testing which have been made by developer phase. Usability of application can be identified. Flow of the application is really perfect and understood by end user or not. This all things will be checked. Reliability of application can be verified. Application UI should work properly. It should not getting cashed often. If some wrong steps have been performed by user then application should indicate end user that how they can go with flow. All validation message have been checked with spelling mistakes too. All instruction and validation message should be understood by user. Testing team will focus on quality of product. If we will deliver a product with good quality then we can gain end user’s confidence and trust. Client satisfaction is also important with this. Application should work effectively and it must be user friendly so end user can use it very easily and with less instructions. Complexity in code will be accepted but if end users find complexity while using the software or application then they will find other ways and quite the use of soft wares. This is important point too. This can be taken care in testing phase. Software testing can prevent the failure of the application. It is major thing when your application leads to failure in middle of the work flow. Sometimes it can be very expensive for client to get over the failure. This kind of critical issues can be resolved before release in software testing phase which may work as saver. Here we need to understand what is the Failure? In normal language we can say that if application will give you an unexpected result then it call failure but make sure each defect is not leading to the failure. For example, a defect of spelling mistake will not leads to the failure. Even failure can be generated manually by entering wrong values to the fields. To prevent them, we need to put validation information on screen. Environment can be a reason for failure. If configuration for application is not done properly then it can be reason of failure. If some hackers are continuous attack on application then it can be a reason for failure. This all are the reason for failure and we can prevent them by software testing. Business analyst can also find the defect in application as they have very clear idea about the requirements and clients need. Thus, their suggestions are important in testing phase and development phase. Testing team will execute whole work flow in front of BA team and their discussion and ideas can improve the quality of the product or application. Even any improvement and bugs are posted by testing team then it is not pointing to the developer team that they have left issues in application but with whole software team we can build an effective product which may satisfied the client expectations. 7. Now last but not least, as we have seen software testing can improve our business perspective too. This all are the reasons that why we required software testing.